Happy New Year – Thanks for your massive support in 2017! We hope you enjoyed the ninth Cube Escape, The Cave, back in March. Since then we have been working on Rusty Lake Paradise and the countdown to release can start now. 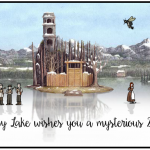 We are very excited that we can start 2018 with a new Rusty Lake game! 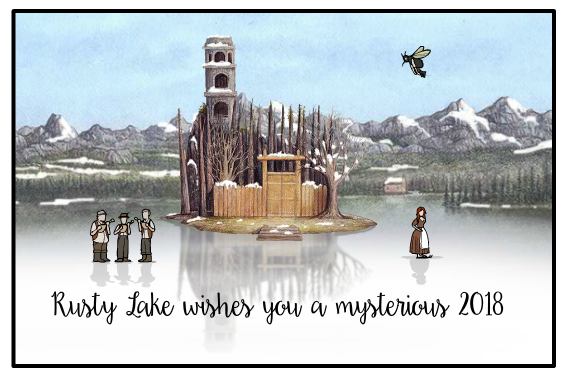 Our goal for the next year is to publish more Rusty Lake content for you guys! The last couple of months we have been working on a secret Rusty Lake project starring a real life Dale.. this is by far our most ambitious project yet and we will share more details soon. We also can’t wait to start working on the tenth Cube Escape after the release of Paradise, January 11th. Happy new year! Looking forward to your new project! Time for a drink, Bob! Have been waiting for a long long long long time!!! Can’t wait to see the new game launched! I’ve been successfully recommended to my friends! I will play the 10th rusty lake game on Jan. 11th! HAPPY NEW YERA! I’m looking forword to your new game,thank you for your company! Very pleased to hear there is another game out on 11 January. Rusty Lake produces the perfect , unsettling, concoction of drama, puzzle and style. These games haunt me – in a good way. Little late.. But happy new year!